Donating artwork to charity is something artists get asked about often. 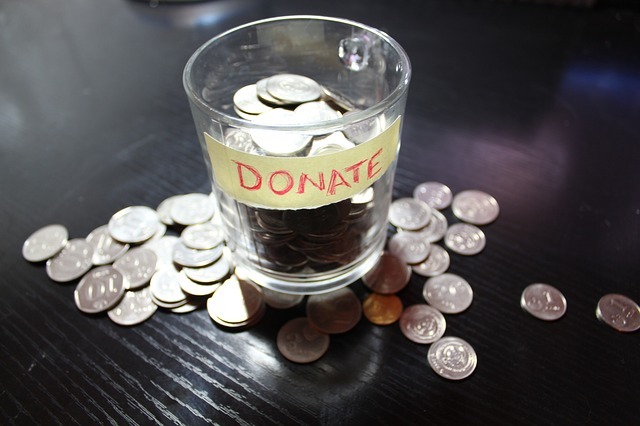 Here are some things you need to consider before donating. Many charities will tell you that you can write off the artwork on your taxes, but that’s not exactly true. While you can write off the cost of supplies, you can’t write off the value of the artwork. It’s not necessarily that the charity is lying to you. They just believe that you can. They also promise exposure. This rarely happens. The charities are usually disorganized due to being run by volunteers. Your name, although promised to be in the flyer or brochure, doesn’t make it in, and the person who ends up with your artwork, doesn’t get you another sale in the future. Most of the time, the amount your artwork sells for will be less than what you could’ve sold it for on your on. If it’s a charity that you really want to give money to, why not sell the painting yourself and then give them the money? They get a bigger donation, and then that money is tax deducible. It benefits both parties. In order to know what’s working for you and what’s not, you need to look at your analytics system. Not only do you need to look at your blog posts, but also your social media posts. For example some posts may do really well on Twitter, but not on Facebook. Also if you’re doing videos, look at your most popular videos as well as how many minutes watched. Are they watching the full-length of the video, or are they just watching 10 seconds? All of this will best help you determine how to use your time wisely. So start going through your analytics and let me know what you learned and what systems you use! Everyone needs camera helpers. Today I’m introducing you to Michael and David. They’re my camera helpers. They help me remember to actually look at the camera instead of looking at myself. If you watch my earlier videos, I’m looking at myself instead of the camera. … Fail. Anyway. If you decide that you actually want to do videos. Don’t be discouraged that you have a low number of subscribers and views in the beginning. That’s actually a good thing, because unless you’re some amazing person, your first run of videos will be crappy. So it’s better to have crappy videos in the beginning when have a low number of people watching them. You’ll get better at it, but you have to do more videos in order to get better. So enjoy your low numbers while you’re getting use to doing videos. Here’s the video I learned from of how to put watermarks and get the social medial icons on my work. The best thing is that you don’t need a photo editor and this is free. Using picmonkey.com is pretty simple and easy to use. I also use it for the custom thumbnails of my videos. Some people have issues with watermarks. I honestly haven’t had anyone complain about it, and I try to make it as least annoying as possible. Yes, it can be photoshopped out, but most people understand why it’s needed and it’s helpful for them to know what artist painted it as it’s shared across social media. Also, making the resolution smaller will make for terrible prints should someone try to do it. So I personally think you should watermark all your work just for sharing aspect, and it also gives someone a mental check before they decide to do something against copyright.